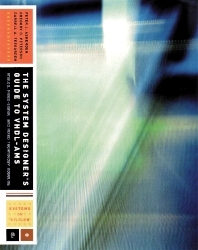 To submit an entry, create the necessary designs on systemvision.com (make sure that they are posted as public), develop the corresponding written materials, including a statement of the problem, theoretical discussion (Math), how modeling was used to solve and/or verify the solution (Model), and any experimental results that verify the result (Measure). When your design is complete, let us know with a simple email to [email protected]. Just put Design Complete in the subject line. We are interested in any application area that would be of interest to our community. Analog, digital, mixed-signal electronics are all good. But, so are control systems, motion-control systems, power systems, sensor-actuator systems, etc. The best applications are ones that are of interest to you. If you have a passion for an area, then it will show in the resulting blog post. Follow me on Twitter and/or LinkedIn to see alerts for posted designs and blogs. We've noticed you're using Internet Explorer. SystemVision® Cloud works best with Google Chrome. We've noticed you're using Mozilla Firefox. SystemVision® Cloud works best with Google Chrome.We've noticed you're using Safari. SystemVision® Cloud works best with Google Chrome.We've noticed you're using Microsoft Edge. SystemVision® Cloud works best with Google Chrome.